What are you doing right now? Yeah, like right now. What are actually doing? If you’re at work or running on the treadmill or doing laundry, you probably feel pretty smug about how busy and productive you are, don’t you? But what about if you’re just, well, layin’ around? Checking out the texture of the ceiling; settling into the couch. Does that question make you feel defensive? Maybe even a little guilty? You're Busy...but Are You Productive? I’d bet that most people fall into the trap of doing too much from time to time, and a few even get hooked on it. It’s a bit like running a marathon — there’s suffering involved, but also a bit of the high that comes from pushing yourself to the limit. It’s that high that keeps you going when sleep, downtime, and even fun are in short supply. The problem is, whether you're in a marathon or just living day-to-day, there are only so many miles you can cover at top speed before you hit the wall, break down, or even work yourself to death. I’ve definitely run myself into the red zone. It has its rewards in the moment, but I’m pretty sure at least some of that sense of productivity is an illusion. In reality, I’m struggling to stay awake and engaged at work, dragging myself through social engagements, struggling through a workout, chores, hobbies — and doing a shoddy job at each and every one. I won’t deny that some people are better at spreading themselves thin than others, but it still comes at a cost. I’m always amazed at how quickly household chores pile up. I don’t have children yet, so I’m probably in for a serious wake-up call in this department in the next few years. Even so, the laundry soon piles up again, dust and dirt find their way into those once clean corners, and I’m left wondering why even I bother to chase it out in the first place. It seems a bit pointless, but then, most things are like that. No matter how much work you put behind you, there’s always more up ahead. This isn’t necessarily a bad thing; I think people are naturally inclined to be busy. The problem comes in when you don’t know when to stop. Sometimes I don’t know, quite honestly. Here’s the reality though — the only way you’ll get to kick back is if you accept that you can’t do everything. Decide when you’ll cut yourself off, and find some time to relax. Really. It’s OK.
Oscar Wilde once said that doing nothing was one of the hardest things in the world — the hardest and the most intellectual. A.A. Milne, author of Winnie the Pooh, explains doing nothing through one of his characters, Piglet, who describes it as “just going along, listening to all the things you can’t hear, and not bothering.” Authors and other artists in particular seem to be big proponents of empty time, and in fact, many of them work in cycles that swing between highly productive and what you might call "regenerative." It seems that just because you aren’t doing something doesn’t mean nothing is happening. Ideas, inspiration, and even motivation often spring from their opposite — nothing. 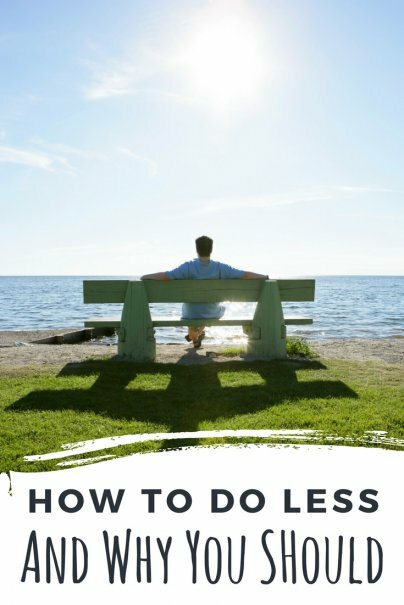 One final thought on doing nothing (and why you should embrace it more often) — there’s something to be said for accomplishing less, especially if it allows you to enjoy it more. It’s usually the things that come with no professional designations, rewards, or external validation that turn out to be the most important in life. (In other words, no one on their deathbed ever says, “Gee, I wish I’d spent more time at the office.”) Let your actions reflect your priorities. When you have something better to do — or better still, nothing to do at all — let some of the other stuff slide and see where that unscheduled time takes you. I agree that we should take time to relax and do nothing sometimes, but I love the feeling of working hard all day and going to sleep knowing I accomplished something. I hate when I go to sleep, and look back and think to myself I wasted the day. I'd agree with that -- I love the feeling of having completed something. My problem is that I tend to get addicted to that feeling, and then feel guilty when I do relax. Like with so many things, it's about finding balance. My problem is that when I finally have a chance to relax, I feel like I should be doing something. My wife and I take a full day off from work every week. It's the hardest day of the week (to not work), but the best. It's made a huge impact on our relationship and how we view "work" in general.